I’ve been in San Francisco for one week and I’ve been on site for work so much that I barely got to see this city. There are a few things that I smushed in but overall I saw so little of SF that I have nothing of substance to remark upon. I did see some things and liked many things and below are a few things I liked enough or actually experienced enough of take note of. Sorry this is phoned in, working ~12+ hours a day for 8 days makes even the busiest bee pooped. Animals - On this trip I saw lots of animal friends but I really loved seeing the seals in the bay. 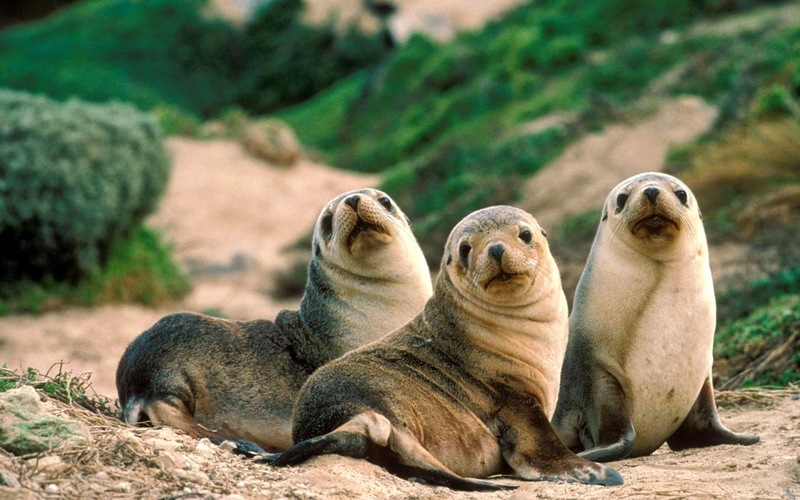 Seals are the cutest thing ever! I wish I could hug them. I also saw a skunk. It was fun to see a skunk. They are cute and shy. Wind - Yo, but seriously, this city is super windy. Seems like… overwhelming. Blue Barn - I love the salads here. Nearly perfect food for me. Architecture - The buildings are mostly short and have so much charm. Art Deco mixed with casual Spanish recall and ornamentation on windowsills and rooftops that are to die for. Rent - Everyone says how rent here is like rent in NYC. I don’t know why that seemed like such a statement to make. Mission - Went there for a wee bit. I get it, young people hang out there. Food - SF brings it in the food department. Lots of produce and this city is so left of center that they have banned foie gras in the entire city. Rich People - There are a lot of them and they like living right next to each other. Art - I didn’t get to see any museums or galleries sadly but I want to come back in 2016 for when SFMOMA unveils its new home. Friends - I got to see some friends and special people and that made this trip worth it. Uber - The one and only way to get from A to B with any ease. Nature - You can just feel it more all over here then in NYC. Makes you realize how much that it changes you, the feeling of a place. Provincial - Not in a bad way per se, there is total charm to it in some regards but yeah, the levels of engagement, criticism, taste making seems firmly rooted in a way that seems content in the status quo.